The physicians at Mount Sinai Heart New York Palm Beach are dedicated to providing the highest quality, state-of-the-art cardiovascular care. We offer a comprehensive range of treatment programs, procedures, and cardiac services. 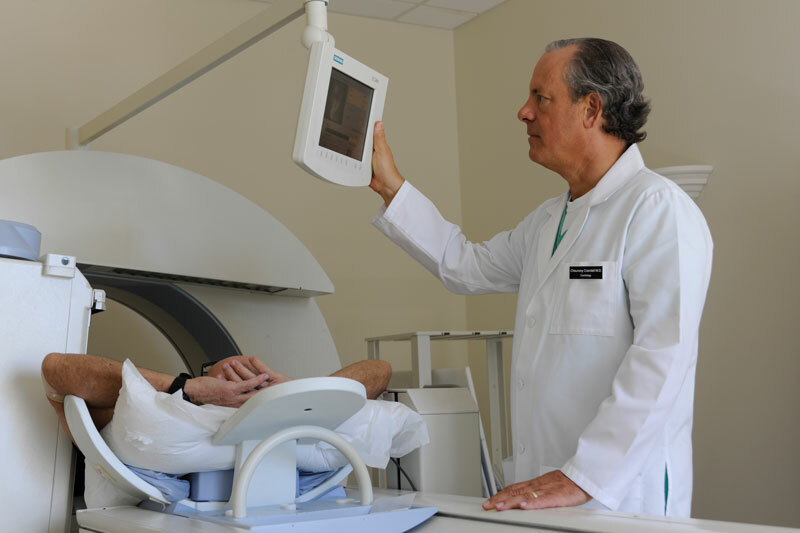 Our physicians and support staff will guide you through the procedure and treatment therapies, as well as the preventive lifestyle changes you can take to maintain your health. A cardiac stress test assesses the heart's activity during exercise using electrodes to record the heart’s electrical activity. Throughout the test, your heart rate, rhythm, and blood pressure are monitored. This allows your physician to gauge the performance of your heart. Echocardiography is a non-invasive medical imaging technology that uses high frequency sound waves to form a structural image of your heart and valves. Information obtained from these images is utilized by your physician to provide accurate diagnoses and treatment. 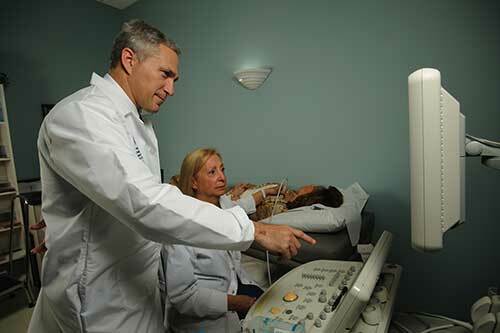 Ultrasound technology, when compared to other imaging modalities like MRI (Magnetic Resonance Imaging) and CT (Computed Tomography), is an affordable non-invasive procedure that does not utilize magnetic fields or ionizing radiation. Mount Sinai Heart New York Palm Beach provides several different types of ultrasound including Transthoracic Echocardiogram, Transesophageal Echocardiogram (TEE), Stress Echocardiogram, Abdominal Aorta, Carotid Artery, and Peripheral Vascular (Venous and Arterial). Nuclear Imaging looks at physiological processes rather than anatomical structures. In nuclear imaging, small amounts of short-lived radiopharmaceuticals (radioactive drugs that emit gamma rays) are injected into the bloodstream. The nuclear camera takes an image of the material as it enters and concentrates within various tissues or organs. By tracing the blood flow, the resulting image tells your physician about the biological activity of the organ and the surrounding vascular system. Through Interventional Cardiology, our physicians treat structural heart diseases, by placing a catheter directly into the heart or within the surrounding arteries. Mount Sinai Heart New York Palm Beach performs hundreds of interventional cases each year, including innovative procedures to treat conditions such as coronary artery disease and aortic stenosis. Our interventional cardiologists have undergone training in the full spectrum of cardiac catheterization and provide the most cutting-edge treatments available. Electrophysiology is commonly described as the study of the electrical properties of biological cells and tissues. This discipline involves the measurement of voltage change or electric current and can be used to gauge the performance of the heart. 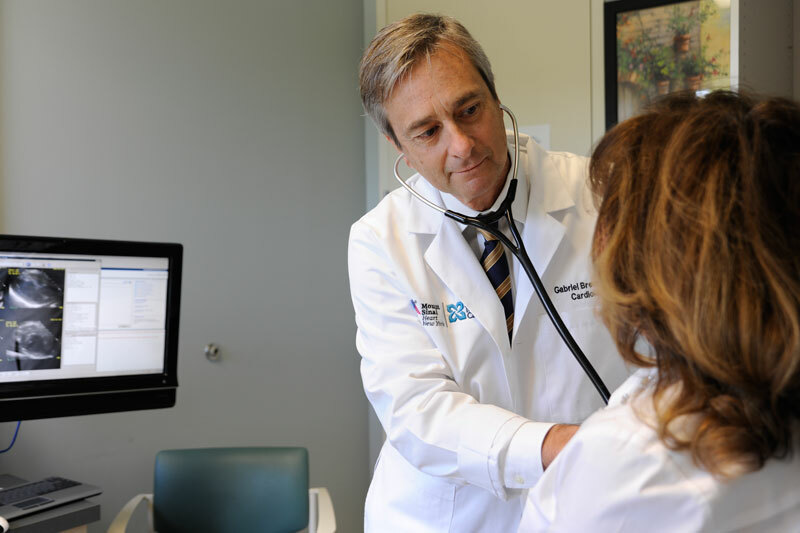 The Electrophysiology Service of Mount Sinai Heart New York Palm Beach uses electrocardiograms, Holter monitors, and a selection of monitoring and ambulatory telemetry services to best serve each patient. Endovenous Radio Frequency Ablation (EFRA) is for the treatment of venous insufficiency. Designed to treat varicose veins, this procedure is less invasive than conventional surgery and uses radiofrequency to cauterize and close varicose veins in the legs. EFRA is most commonly used to help alleviate related symptoms such as aching, swelling, or inflammation.